“Love. Wish. Dream. Be creative. Give. Smile. Learn. Hope Trust Live. Share.” These are the words on the walls of Girl Power that warm the heart. 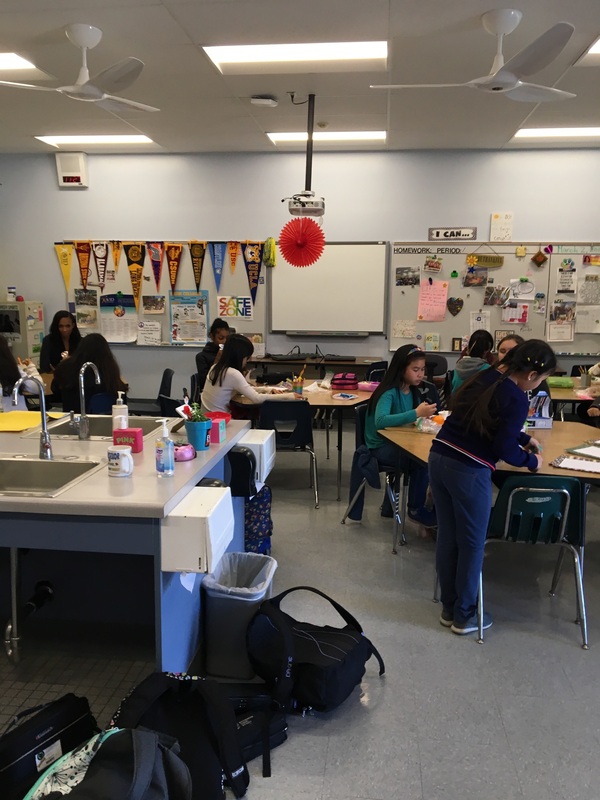 When walking into the club, students experience a sea of posters that the girls, present and past, have created to represent what they like whether it be food or activities. “I am” posters have been made as well by this supportive group. During the lunch time group, all the girls are bonding, eating, and talking to each other. The girls work on their own time and on Mar. 2nd created an acrostic mini poster in which the girls wrote their name, and for each letter, they wrote about themselves. The colors the girls use for their activities are bright and happy which would most likely set the tone in the classroom. “If you’re looking for a place of solitude to eat, this is the right place to be,” says Jenny Ngo, also a member of first lunch Girl Power. Girl Power is a very safe place for girls needing support and help. It is very warm welcoming and bright, so girl students should definitely check out this lunchtime club! I am in Girl Power (as shown above) too ! It is actually pretty awesome! Meetings are available first or second lunch on Tuesday or Thursday! You should definitely check it out!! !